Altitude has been synonymous with the promotional industry in South Africa for over 20 years. A reputation which was initially built on the Altitude Apparel Range and subsequently the Altitude Gifting range. At the heart of Altitude is an obsession with the design and sourcing of products that are fit for purpose and offer exceptional value. The Altitude range is now available with the Amrod® Total Solution, encompassing deep stock, exceptional branding and industry leading turnaround times. Soar higher than ever before with the Altitude Range and take value promo to new heights. The Altitude range is powered by the Amrod® Group Total Solution, which operates out of a combined space of more than 38 000m2 and offers the industry’s most advanced in-house branding solutions in conjunction with world-class service, an extensive product range and deep inventory levels. The Amrod® Total Solution ensures that business is convenient, simple and cost-effective for our clients. 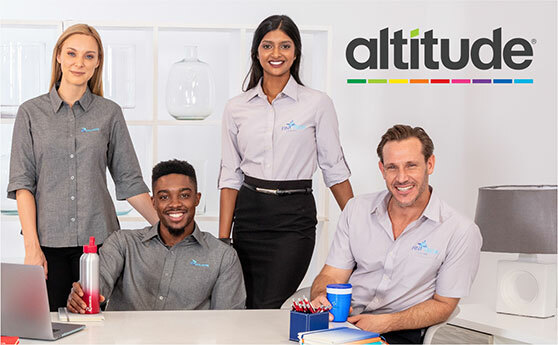 With a focus on everyday promo items, the Altitude range contains a wide selection of products perfectly suited to your brand and your promotional needs. 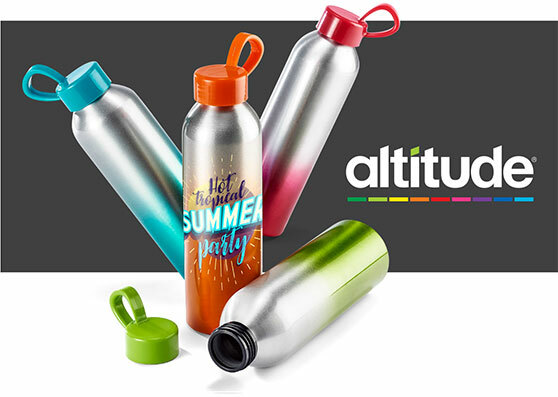 Filled with colour and vibrancy the Altitude Promotional Gifts Catalogue is bursting with ideas for any brand no matter the size. 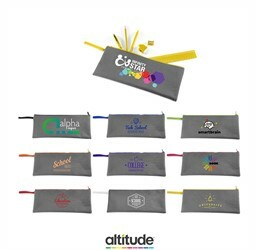 Supported by deep inventory levels and exceptional branding capabilities, the rest is left to your imagination and with the Altitude Promotional Products, the sky is the limit! Promotional Products do work! 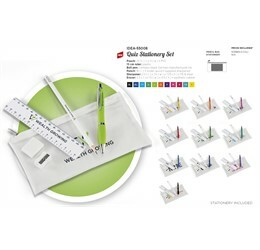 With over 392 promo-centric products positioned under 14 categories, there’s something for every promotion or marketing campaign, all ready to be branded with your logo or message. View our vibrant promotional products range in our world-class showrooms, with our full range on display in Johannesburg, Cape Town, Durban, Zambia and Kenya, and a selected range of products in Bloemfontein, Botswana, Namibia and Port Elizabeth. Following 20 years of success on the African continent the Altitude range of clothing has been expanded and refreshed. The range is designed in Africa for Africa. Designed with your budget, your fit, your style and your needs in mind. With great design, carefully selected fabrics and a wide range of colours, the Altitude range of Aprons, T-shirts, Golf shirts, Workwear, Bodywarmers, Fleeces, Hoodies, Tracksuits, Sweaters and Jackets, cater to all corporate and promotional clothing needs. The fits have been designed to cater to the diverse requirements that come with kitting out a workforce or office environment. The range also includes a ladies option for most of the garments. Every garment is designed to be logo ready, with careful consideration being given to the space available for you brand. Altitude products come to life when branded by the Amrod® Group Total Solution. With industry-leading turnaround times, large capacity across all departments and an in-depth understanding of the complexity of branding, Amrod® provides clients with the ease, convenience and cost-saving associated with purchasing and branding product at one point. After studying many overseas companies in the Promotional Products space, the Amrod® Group pioneered the concept of offering an in-house branding solution in South Africa in 2007. Presently, Amrod®’s branding department comprises over 700 skilled team members, working 24 hours a day, to ensure that they meet and exceed client’s branding needs and expectations. By employing the latest technology and processes and leveraging their branding expertise, the Amrod® Group offers clients the ability to use the Altitude range to bring their brand to life in the most exciting and compelling ways. LOGO24 is an extraordinary new initiative that offers “next day” turnaround including branding on 45 of our most popular products when you need branded products super-fast! Offering the choice of 18 branding techniques, clients are able to combine multiple methods and locations on the same item, projecting the exact image and message for their brands. With an expanding network and African footprint, it’s easier than ever to partner with Africa’s Leading Trade Only, Total Solution Promotional Products Provider. 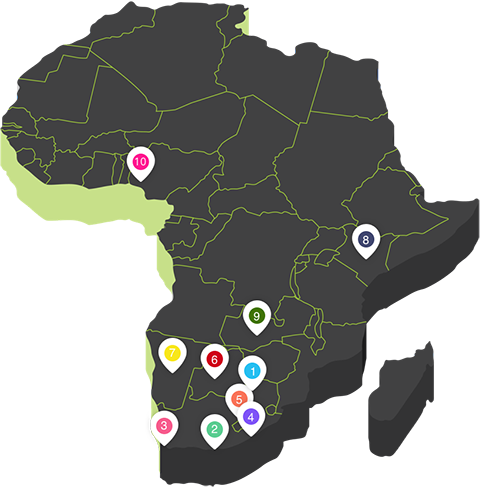 The Altitude range is available to view in our wide range of showrooms across the continent. Altitude offers a free delivery service to all of our branches. For more information on this service and our delivery terms and conditions, please contact your Account Manager. +27 31 534 6760 durban@amrod.co.za -29° 46' 45.07", +30° 59' 33.14"
In December 2017 Amrod® acquired Altitude (Wizard Collective) and while both companies will continue to offer you a great range of products and services on their separate platforms, one of the benefits as a prospective new Distributor is that you only need to register once to take advantage of both offerings. We adhere to a strictly trade only policy and our promise to our clients is that we do not compete with them for business. As trade only suppliers we only supply goods to resellers of promotional gifts and clothing, not end-users. To ensure that companies registering with us are indeed promotional product resellers and not end-users, our initial registration process is strict and requires that applicants supply us with the necessary documents and company information to confirm that they are resellers. You can either submit the required information on our website or e-mail it through to registrations@amrod.co.za. Once received, your application will be vetted to ensure that the core function of your business is the resale of promotional gifts and/or clothing. For a list of requirements and full details on our registration process, view our Registration page.